Showing 1 - 7 of 7 articles tagged "Alex, Inc."
The freshman podcast comedy averaged a lackluster 3. The actress has proven her acting chops on The Good Place and Master of None. Braff's comedy fell to 3. The Zach Braff comedy premiered to 4. 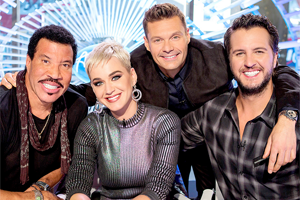 ABC has released its midseason schedule, and the Idol revival will air from 8 to 10 p.